You agree to make a non-refundable donation in the amount of $100.00 to Shaw Pit Bull Rescue (SPBR) to adopt the above described dog - which has already been spayed/neutered; is up-to-date on all vaccinations, including rabies and bordetella; is on monthly heart worm preventive; and has been micro chipped. No one can predict how any dog will react in a given situation, especially without complete knowledge of its life experiences. Therefore, adoptive owners are strongly urged to exercise prudence and caution in introducing an adoptive dog into a new situation until he/she has become fully adjusted to its new environment and the adoptive owner has had an opportunity to become familiar with his/her unique personality. A pit bull must never be allowed to run loose. It should always carry identifying tags or wired/wireless fencing should be used. All dogs at SPBR have been micro chipped and SPBR will remain the primary contact. If the ACK Reunite contacts us about the dog, you will be contacted. However, if the dog gets loose multiple times within a short time frame, the dog will be returned to SPBR (with no refunds). The ownership and responsibility for the adopted dog belongs solely to the adoptive owners. 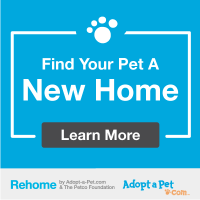 However, if for some valid reason, the adoption does not work to the advantage of the new owner and the dog, SPBR must be contacted and given the option of reacquiring the dog before any further placement. The adoptive owner shall not transfer ownership of the dog unless SPBR elects not to exercise this option within 14 days. SPBR makes no representations or warranties regarding the temperament or physical condition of any adoptive dog. All warranties, including implied warranties of merchantability and fitness for a particular purpose, where they are applicable, are hereby specifically disclaimed. If the dog appears in good health, with no visible health problems, SPBR can not be held liable for veterinary care after the dog leaves the premises of SPBR. The adoptive owner agrees to provide the necessary medical care for any conditions that may arise after the dog leaves Shaw Pit Bull Rescue. SPBR shall not be responsible for any bodily injuries or property damage caused by any adopted dog or by the actions of its adoptive owners. The adoptive owner hereby specifically assumes sole responsibility for, and agrees to hold SPBR harmless from, any and all loss and expenses (including legal fees) by reason of liability imposed by law upon SPBR, or any of it's officers and members because of bodily injuries or death to any person or persons including the adoptive owners, or any damage to property arising out of or in consequence of the placement of the dog, howsoever such injuries, death or damage to property may be caused, whether or not the same may have been caused, or may be alleged to have been accused, by negligence of the aforementioned parties or any of their employees, agents or members, or any other person.